Your Gadget for rapid, seamless, and copyright-compliant literature access. Easily locate, purchase, or rent full-text research papers and book chapters 24/7. Read online or have PDFs conveniently delivered to your email box within minutes. 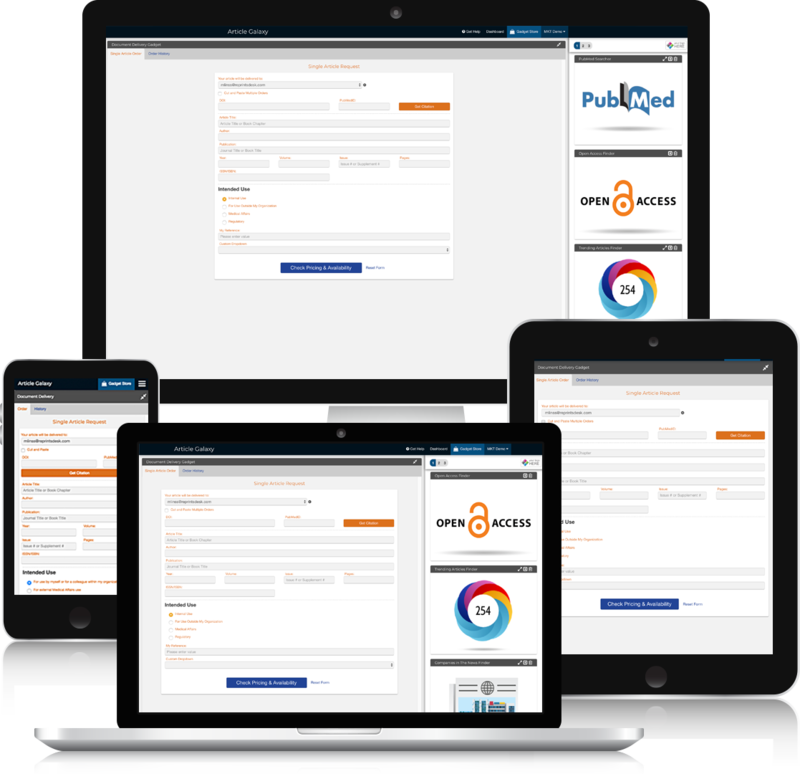 Access to the world’s digital scientific record has never been easier, faster, and simpler! Instantly access PDF full-text via browser on any device, or have them sent to your inbox within minutes. View trending article stats, see availability options, and check your order history—all in one place. Misplaced a PDF you purchased? Simply download it from the order history page. Get the Lowest Acquisition Cost. Automated filters let you obtain peer-reviewed journal articles and other documents at the lowest cost available. 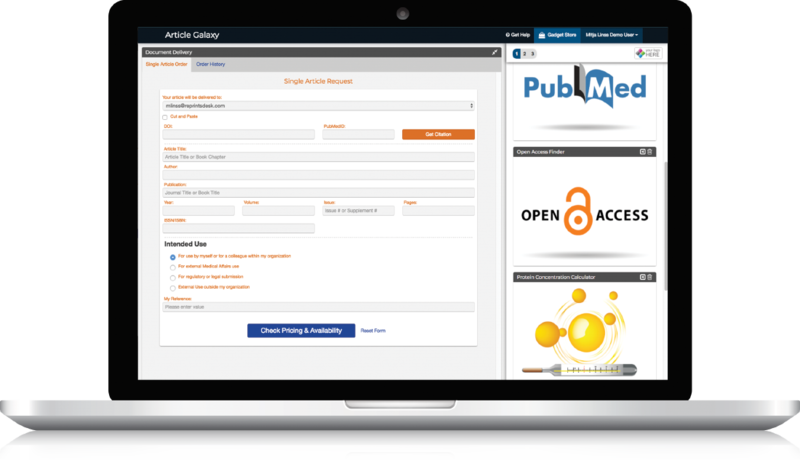 The filters apply to Open Access articles, purchase or rental options, and your publisher subscriptions. No Detour to the Order Form. In the Gadget’s order form, simply enter a citation’s DOI or PubMedID to populate the form—and order in one click! Easy order options are embedded into many Gadgets: Any time you see “Order Document” within a Gadget, you can acquire the paper instantly—without taking a detour to the order form. What is a Document Delivery Service? Intuitively, it is a service that delivers documents. You might imagine a postal carrier hand-delivering a hard-copy document, ink on paper, to a grateful recipient. And that archaic image is exactly what it used to be...until the Internet came along. The World Wide Web changed the way we research the scientific record. Journals, books and other resources are all available in digital formats. 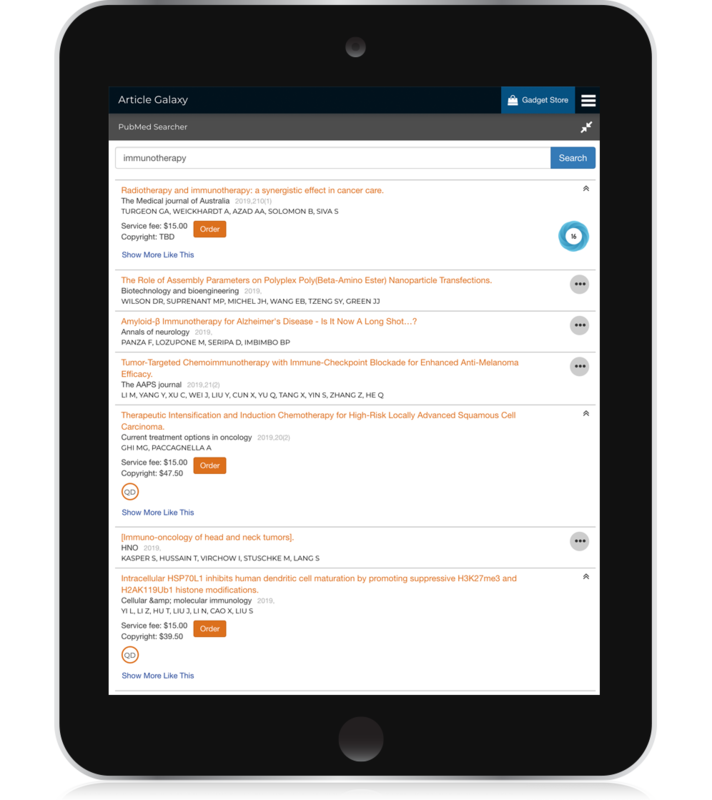 A modern Document Delivery Service, like Article Galaxy from Reprints Desk, uses cutting edge software technology to quickly - and often instantly - provide its customers with access to digital documents of the scientific record, including PDFs of journal articles, books and book chapters, patents, and more.